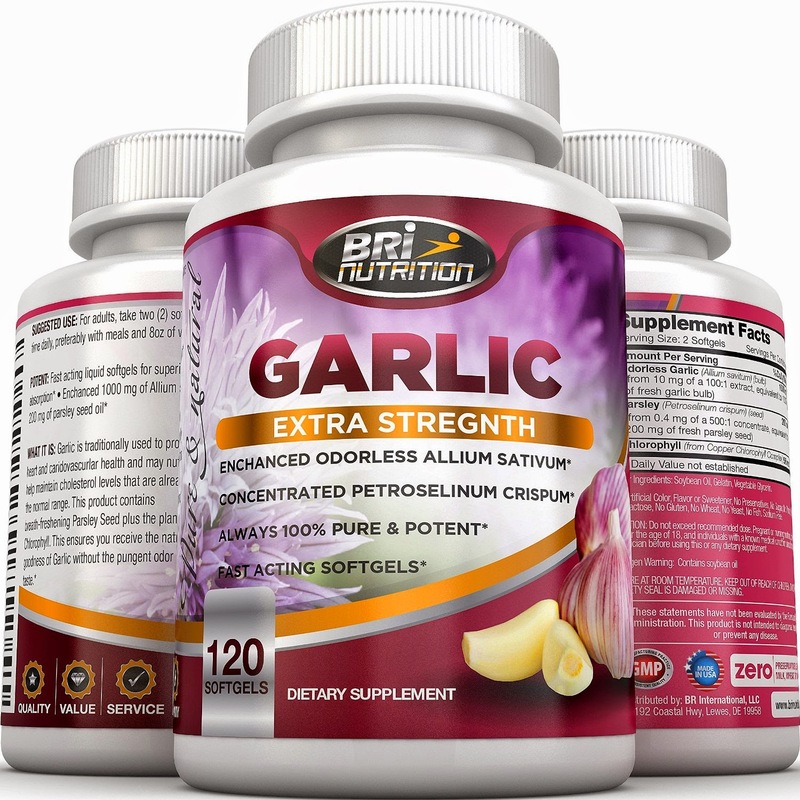 BRI Nutrition’s Garlic Extra Strength dietary supplement has taken innovation to higher leaps making this product like no other. This BURPLESS garlic supplement enables you to experience the benefits of garlic without even smelling any scent of garlic on your breath let alone your burps. Because who wants to smell like walking vampire repeller whenever interacting with our fellow humans? Our Garlic Supplement is guaranteed to deliver maximum strength and maximum benefits without the disadvantage of smelling like pungent vegetable. That’s why this supplement offers all these benefits and increasing its potency and effectiveness it has in one’s body. Such benefits are fortifying our overall health through having direct effects in regards to improving any cardiovascular disorders or problems, like high blood pressure, high cholesterol, or heart attacks. It also aids in our immune system thus decreasing chances of illness or infection. Garlic’s benefits do not stop there; it also aids in maintaining a proper or healthy circulation, digestion, and as well has detoxifying capabilities. These benefits have become possible because garlic is made up of key ingredients or compounds that contribute a variety of health benefits to the body. Scientifically named Allium sativumbut is also referred to as Garlicin, Camphor of the Poor, or Stinking Rose. ★WHY US: We were sick of burping up garlic so we set out to create an amazing burpless garlic supplement. With garlic being a leading super food, there are hundreds of variations of garlic supplements now available in the market. However, at BRI Nutrition, we've developed what counts, and that is the potency of the ingredient itself. 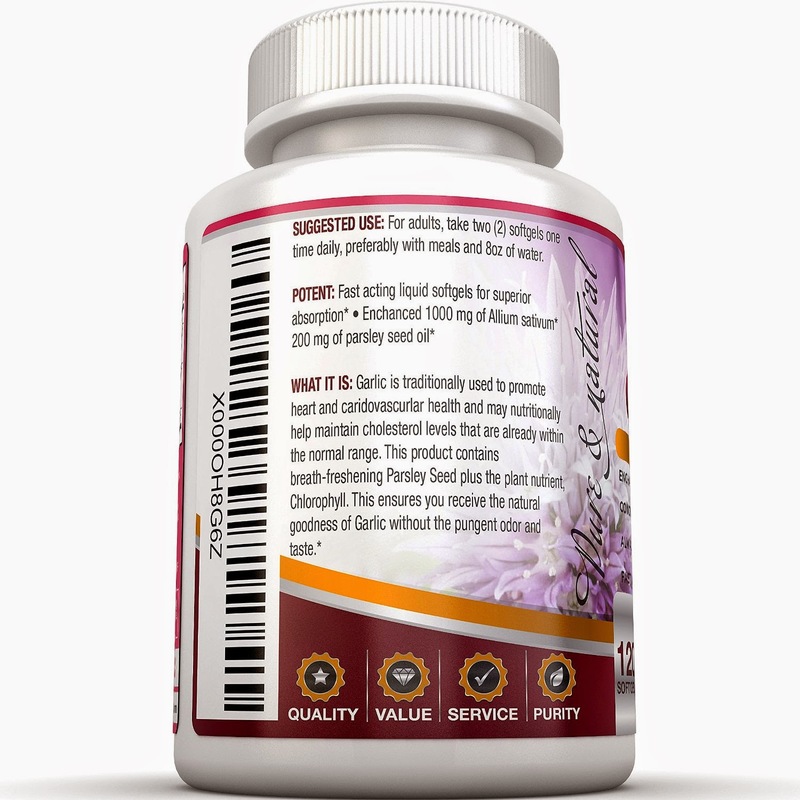 Our Garlic Supplement is guaranteed to deliver maximum strength and maximum benefits. ★WHAT IT IS: Years of research have shown that garlic is an effective agent in improving our overall health. Whether with regards to cardiovascular health issues, such as high blood pressure, cholesterol, or heart attacks. It also aids our immune system and in circulation and digestion, and provides detox and cleanse abilities. Garlic is made up of key compounds that contribute a variety of health benefits to the body. Examples of these compounds include allicin. ★PURITY: 100% safe and natural. 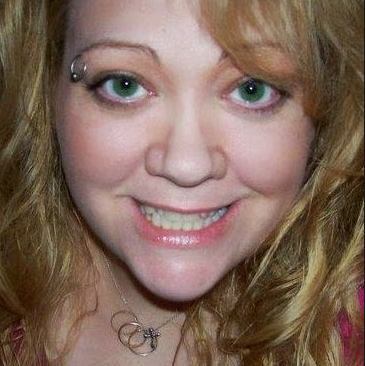 No fillers or artificial ingredients. 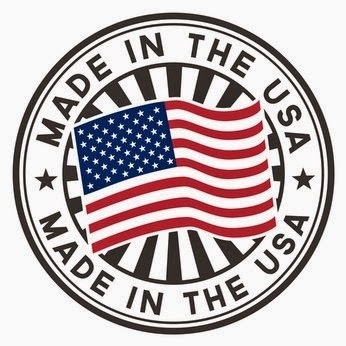 We use only the very best, scientifically-tested ingredients, all of which are manufactured in our US, FDA-inspected, state-of-the-art, facility, with strict adherence to good manufacturing practices. Every batch is third party tested to ensure that we only utilize ingredients that are safe and pure. 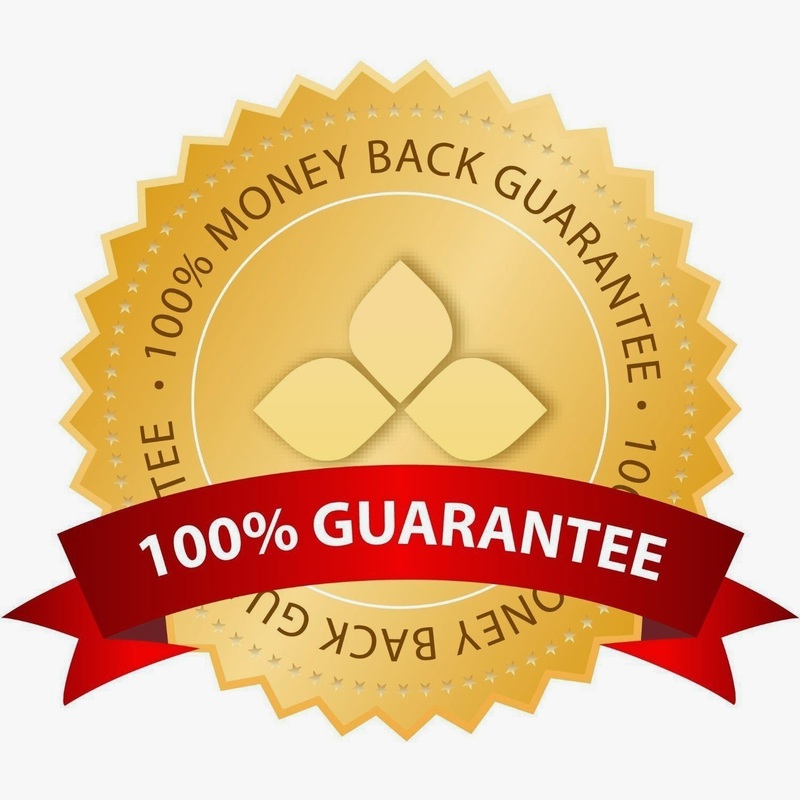 OUR GUARANTEE: We're very confident that you'll love this product that we offer a 100% money-back guarantee. ★COMMON NAMES: In many cases, you may encounter garlic referred to as Garlicin, Camphor of the Poor, Stinking Rose, or via its scientific name, Allium Sativum. Some competitors offer aged garlic extracts, garlic drops, garlic in liquid form, odorless garlic supplements, and even garlic complex to name a few. ★SHARE:Consider ordering one bottle for yourself and another for a friend or loved one. Keep each other motivated and reach your goals together and more quickly. 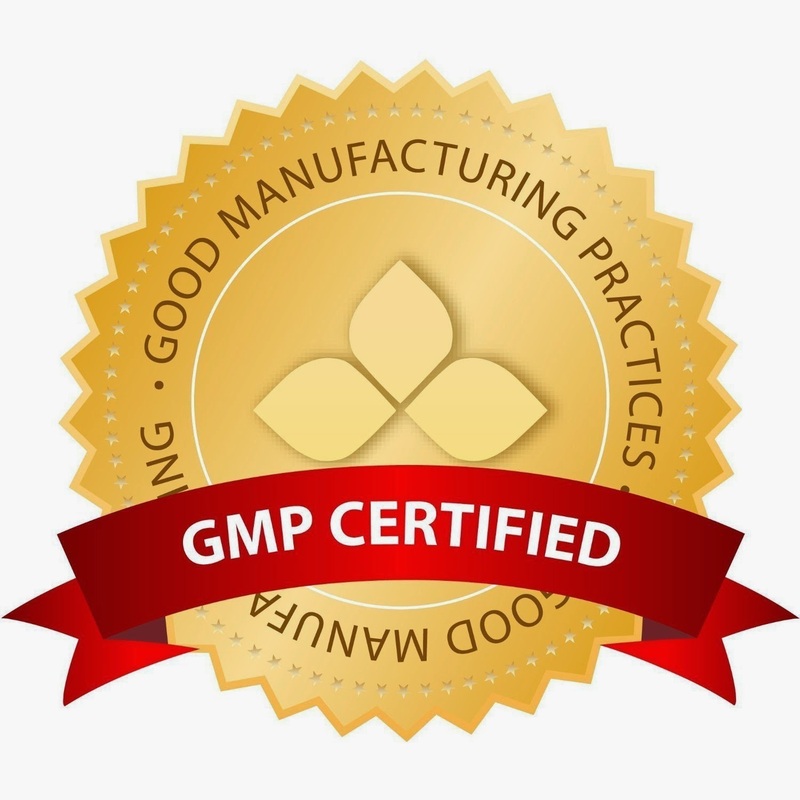 BRI Nutrition stands by every quality product they make. We manufacture only premium and extra pure but high potency vitamins, capsules, tablets, powders, multivitamins, supplements, topical creams, liquids, serums, vegan foods, and natural organic-based extracts for men, women, and children. Check BRINutrition out today! With garlic being a leading super food, there are hundreds of variations of garlic supplements now available in the market. However, at BRI Nutrition, they have developed what counts, and that is the potency of the ingredient itself, regardless of what the name says. 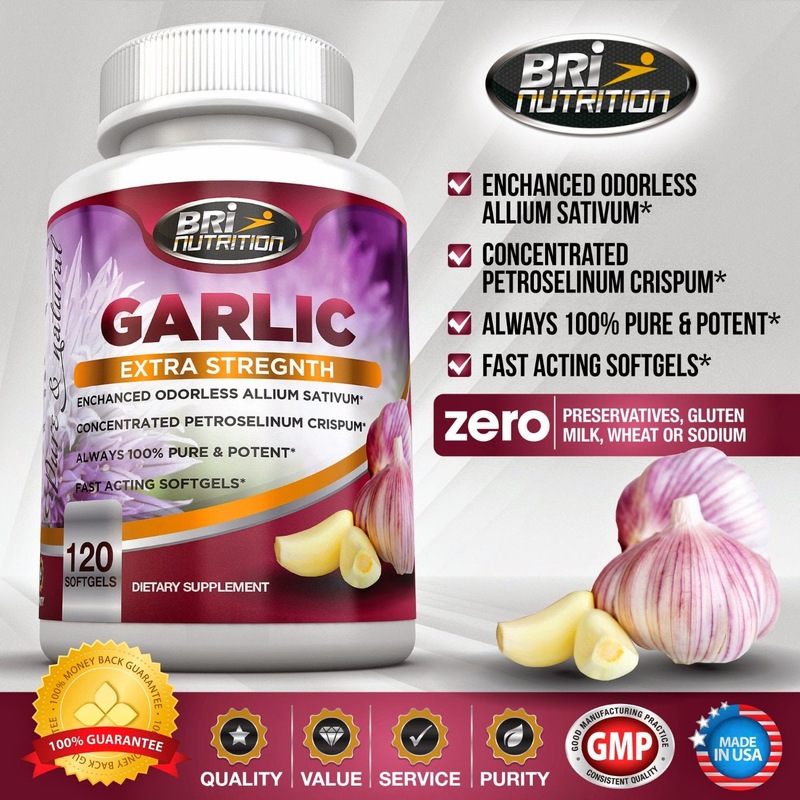 Their garlic supplement is guaranteed to deliver maximum strength and maximum benefits as we strive to make it pure not only in composition, but also pure in its benefits and effects. Garlic is traditionally used to promote heart and cardiovascular health and may nutritionally help maintain cholesterol levels that are already within the normal range. This product contains breath-freshening Parsley Seed plus the plant nutrient, chlorophyll. This ensures you receive the natural goodness of garlic without the pungent odor and taste. 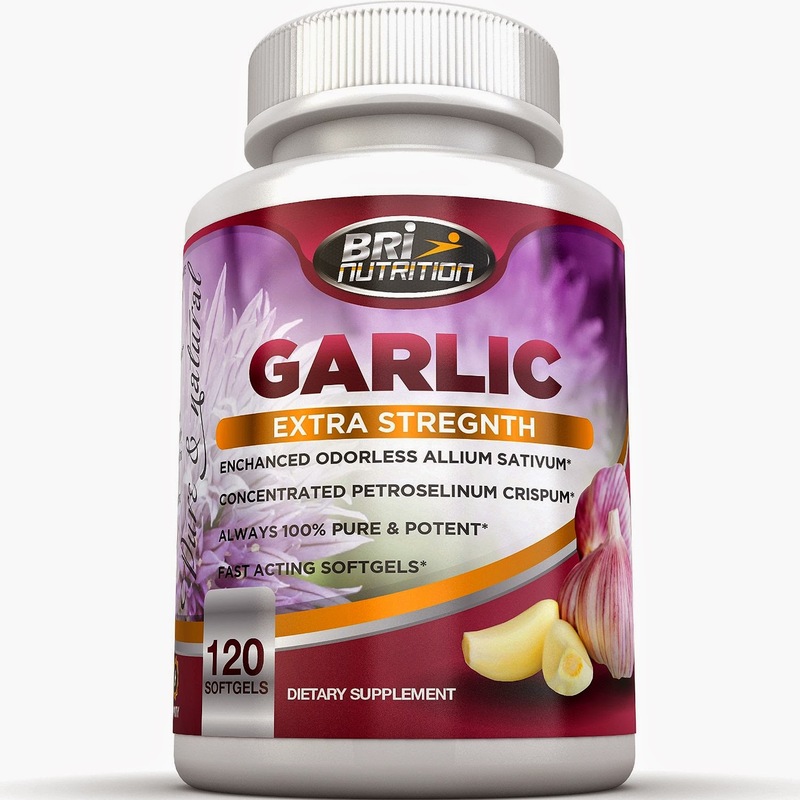 I was happy to get to try this Pure and Potent Garlic Allium Sativum Supplement by BRI Nutrition. I have been using fresh raw garlic to fight off colds and sore throats for many years now and I love how it works but HATE having to swallow a tablespoon of raw garlic! As much as I love garlic in my food, eating it raw like that is horrible. Not to mention the garlic breathe and garlic burps! So I was eager to try this garlic supplement and see how it compared. I was pleasantly surprised and very happy to say it worked the same at fighting off my sore throat, the same as if I had eaten the raw garlic, without the strong taste, bad breathe and garlic burps! It is so easy to take and I like that I can keep it in my bedside stand, ready to use at the first sign of illness. I also like that other benefits garlic gives since I have high blood pressure and high cholesterol. I will continue to take this wonderful supplement and leave the raw garlic in the kitchen!